Mechanical safety system that prevents from accidental lowering. 75 mm at the highest point of elevation on the GR3S. New GR3S model incorporates a mechanical safety system that prevents from accidental lowering. 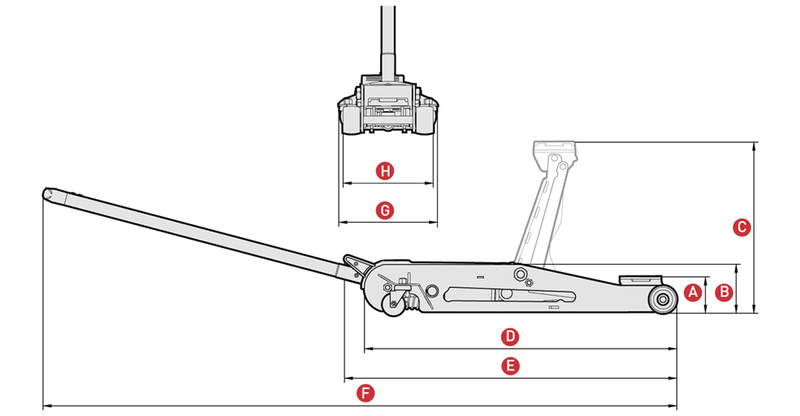 Should it occur, the lifting arm will lock at 320mm from the floor.